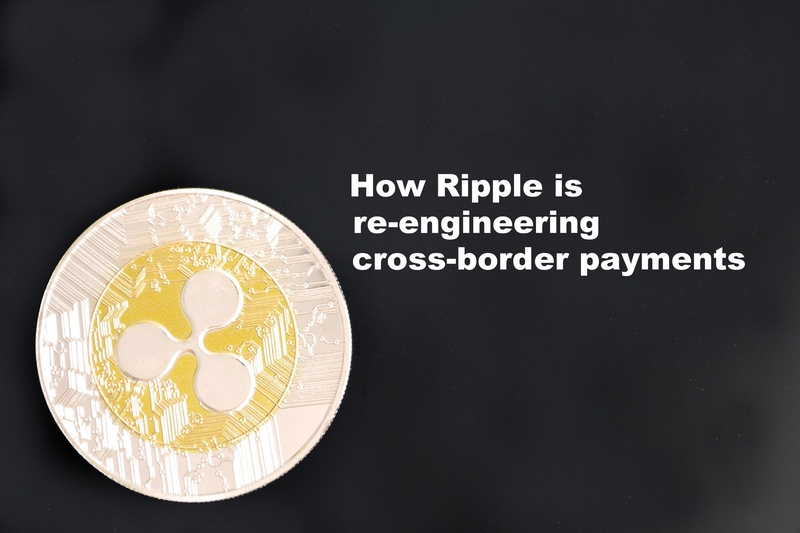 This blog post was featured on Forbes.com. One of the "Five Things Every Financial Services Professional Needs To Know For 2018" goes by the acronym CECL, which stands for "current expected credit loss." 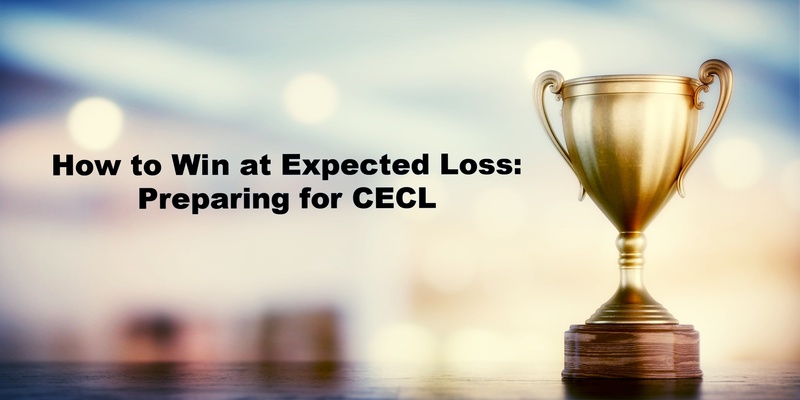 Don't let the innocuous-sounding name fool you: CECL is an outgrowth of the 2007-2008 financial crisis post-mortem and is a huge deal. Before CECL, a bank accounted for losses based on actual defaults or on specific events that portended a loss (e.g., a credit downgrade). Under CECL, accounting is based on both historical and current loss as well as loss that is expected to occur in the future over the whole lifetime of a loan. By changing loss reserve philosophy, from probable and incurred to lifetime expected, banks are now forced to set aside capital for future loss events that could occur — even if they have not yet occurred. In my eyes, this tectonic shift is what makes CECL one of the most fundamental changes ever made to financial institution accounting. To understand CECL, think about two types of people we all know. The first type tries not to worry in advance about things that may or may not happen, and then when trouble occurs they take mitigating action. The second worries in advance and tries to plan for what may or may not occur. It is clear that the folks at the Financial Accounting Standards Board (FASB) who came up with CECL fall into the advance worrier category. Data Readiness: In order to forecast expected losses, banks will need to capture more granular loan-level data as well as new data elements and external forecast data. In a Deloitte survey, many banks cited "Obtaining data necessary for credit modeling and loss estimation" or "Defining data requirements to support model development" as their most challenging task under CECL. Model Development: Calculating the reserve under CECL rules will require a model that takes in all the relevant system data and produces a supportable allowance estimate. Since FASB does not prescribe the loss estimation methodology you should use, I'd suggest that your model be flexible enough to offer comparative estimates under a variety of different reserve methodologies by portfolio segment. These models will need to be part of a bank's model governance framework, which refers to a governance process for developing, testing and maintaining an organization's models in a controlled manner. A bank may choose to develop their own model or go with a vendor such as Moody's Analytics or SS&C Primatics. Going with a vendor model still requires an institution's own data to be readily available and of the quality necessary to feed the model, or put more colloquially: Garbage in garbage out. Capital Adjustment: The Office of the Comptroller of the Currency FAQ on CECL asks, "Will adoption of the new accounting standard impact U.S. GAAP [generally accepted accounting principles] equity and regulatory capital?" and gives a one-word answer that says it all: Yes. The effect of CECL on capital is rather intuitive. Factoring future loss potential into reserve calculations will serve to increase the reserve amount thereby requiring additional capital. No one is quite sure how sharply reserves will need to increase, but capital planning exercises will need to begin accounting for the impact of CECL. While reserves are included in the calculation of tier two capital, they are capped at 1.25% of risk-weighted assets, with anything above that not counted toward minimum capital requirements. Project Management: Project management for CECL will require the A-team. Implementing CECL will be a large, cross-disciplinary, multiyear effort with significant risk and scrutiny at the regulator, board and audit level. It might be easier to ask who doesn't need to be involved. A CECL program must involve accounting policy, finance, credit risk, operations, information technology and internal audit as well as external data vendors, external auditors and change teams. It is essential to form a steering committee consisting of senior executives from all of these areas and to establish a robust project governance framework and implementation plan with dependencies and critical paths defined. The implementation plan should contain all the components of a large transformation exercise including workstream breakdown, requirements gathering, development, testing, parallel adoption and full launch, as well as frequent steering committee and board updates. For most institutions, the right first step is a gap assessment comparing your current allowance process and data availability against what CECL requires. The gap assessment results will provide a sense of the effort involved for CECL and help define a plan. Make sure to come out of the gap assessment with a sense of the implementation budget required as well as what resources you will need to ask for, the expertise they will need to bring to the project and where they will come from. You now know enough about CECL for an extended water cooler conversation. Next in this series is an overview of the new benchmark that will replace the ubiquitous LIBOR index. Why Recognize a Credit Loss for a Financial Asset That Was Just Purchased at Fair Value? Bruce is a Partner within the firm’s Financial Services practice. 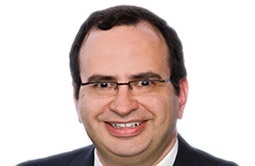 Bruce has significant experience assisting Financial Services companies with strategic project delivery, large scale transformation activity and regulatory compliance. Click here to read Bruce's full bio. 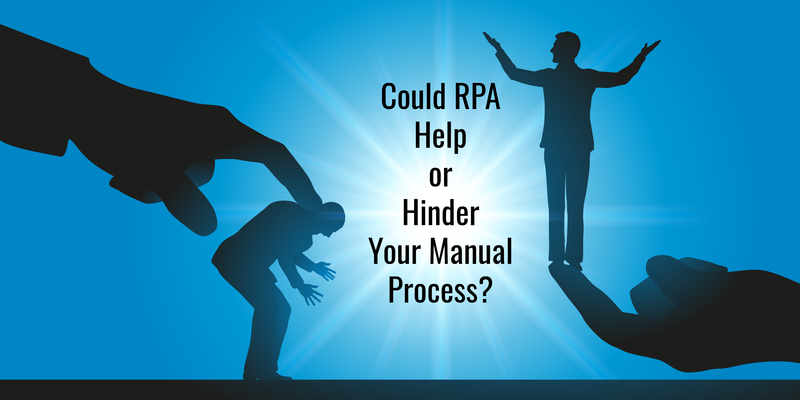 Could RPA Help Or Hinder Your Manual Process?